If you don’t know what a fused participle is, read on. Jack is repairing the roof. Used without an auxiliary verb, the participle retains some shadow of its verbal origin, but functions as other parts of speech. Mr. Jones is a loving husband. 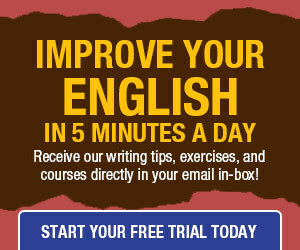 The –ing participle form can also be used as a noun. In that case it gets a new name and is called a gerund. NOTE on Example 4: If I had written Do you mind me asking a question, many of my readers would be quick to scold me for having written a sentence containing a fused participle. fused participle – a participle regarded as being joined grammatically with a preceding noun or pronoun, rather than as a gerund that requires the possessive, or as an ordinary participle qualifying the noun. The fused participle resides in the same category as the split infinitive: some writers abhor it and will avoid it any cost, while others recognize that, sometimes, “defusing” a fused participle is worse than leaving it alone. 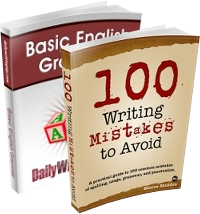 My practice is to use a possessive noun or pronoun before a gerund in a sentence like the one above. If the result is ugly or nonsensical, I figure out how to rewrite the sentence without using the -ing word. Speaking is another matter. In conversation I probably fuse participles all over the place. I don’t know about fused, but I’m CONfused!!!! Thank you very much for your lesson! It helps me not confused. I request you to help me to combine the separate sentences using/expressing participle form, here are the sentences as mentioned below. I talk to you. After that I always feel better. After talking to you I always feel better.